What Can You Measure on Twitter? Having difficulty explaining the value of Twitter? 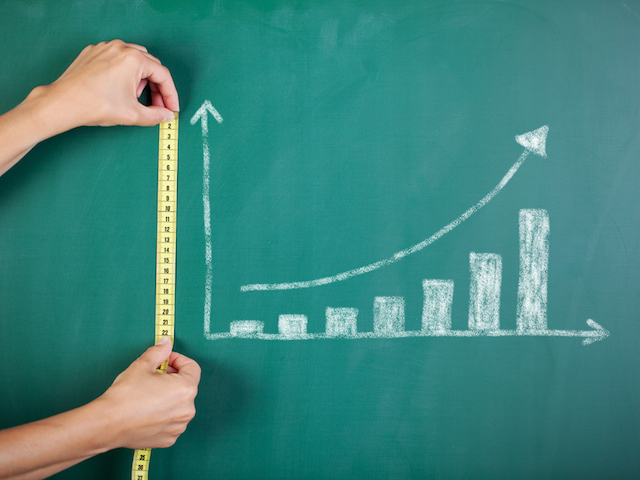 Here are eight metrics you can measure to show why you're tweeting. You’re getting lots of retweets, clicks and eyeballs on your tweets. You know your Twitter account is doing great things for your brand … but you just can’t exactly explain how. If you’ve been struggling to explain the value of Twitter to the higher-ups, you’re probably not measuring results well (or at all). In order to know what’s working and what’s not when it comes to all of that tweeting you’re doing, you’ve got to set objectives and define the metrics that you will measure to see how close you are to hitting them. Here is a list of what you can measure on Twitter, and what each one will tell you about your successes–and where you need to improve. Account growth: How many new followers you are adding each day/week/month. Useful for objectives like brand awareness. Retweets: The number of retweets each of your tweets receives. Useful for objectives like reach, brand awareness, engagement with customers. Favorites: The number of favorites each of your tweets receives. Useful for objectives like brand awareness, engagement with customers. Replies: Who is replying to your tweets? What are they saying to/about your brand? Useful for objectives like engagement with customers, brand sentiment. Mentions: The number of times your account is mentioned by others. Useful for objectives like brand awareness, engagement with customers. Clicks on URLs: The number of clicks on a website you shared. Useful for objectives like website traffic from social media, customer acquisition. Clicks to your profile: The number of clicks to your profile you see on each tweet. Useful for objectives like brand awareness, customer engagement. Clicks on hashtags: The number of clicks on the hashtag(s) you share. Useful for objectives like brand (or event) awareness, customer engagement. For most marketers, it isn’t possible–nor is it desirable–to try to measure and validate each one of the above metrics. Instead, choose the one(s) that will show you how close you are to achieving your objectives. For instance, if you are exhibiting at a conference in two weeks and your goal is to use Twitter to raise awareness among attendees, you might want to measure hashtag clicks (How many people are engaging with the event hashtag? ), retweets (How many people are sharing your tweets about the conference with their network?) and replies or mentions (Who is talking to you about the conference?). Alternatively, if you were the host of this conference, you might want to measure everything that an exhibitor would measure, plus clicks on the URLs you’re tweeting (Who is visiting your event page? Who is converting to a sale and buying a ticket?). If you can zoom in on the metrics that matter most, you will be able to whip up impressive reports that showcase your big wins on Twitter, without being bogged down by irrelevant statistics. Plus, you’ll learn what worked–and what didn’t work–in the past so that you can improve going forward. Readers: Which Twitter metrics have you focused on?